The Rebel Sweetheart. : Spotlight | Clio Kill Black Waterproof Pen Liner. Just when I thought I have found my HG eyeliner in the guise of K-Palette Real Lasting Micro Eyeliner, here comes Clio to make me think otherwise. I discovered this gem during my first trip to Korea, while fleeting from one makeup store to another in Myeongdong. 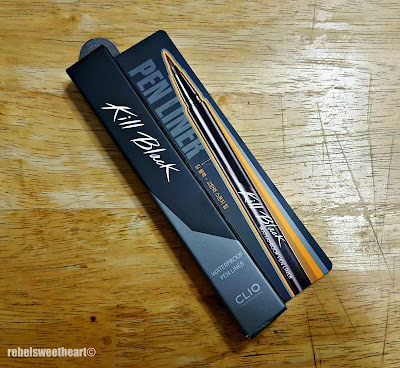 Clio Kill Black Pen Liner. A Korean makeup brand known for its hip and trendsetting image, Clio has won numerous awards for its amazing line of products. Their most popular of which, and the one that constantly receives accolades over the years, is Clio's eyeliner. The most popular among Clio's makeup line. 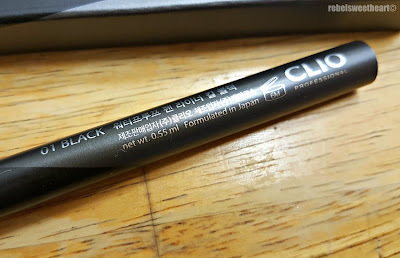 In fact, Clio's Kill Black Pen Liner was awarded as Marie Claire Korea's Beauty Editor's Pick in 2011, and was hailed as the Best Eyeliner in Cosmopolitan Singapore's Grand Beauty Prix 2012. And why not? 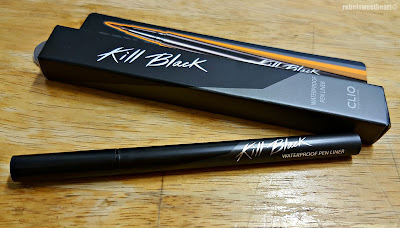 This eyeliner is waterproof, smudge-proof, and lets you 'draw' gorgeous black lines on your lids with just one stroke. And when I say black, it's really, really black. 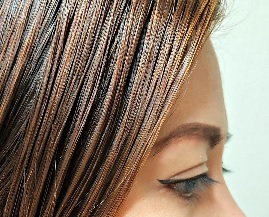 No need to layer the lines over and over again, which I absolutely hate as it runs the risk of flaking on your eyelids. 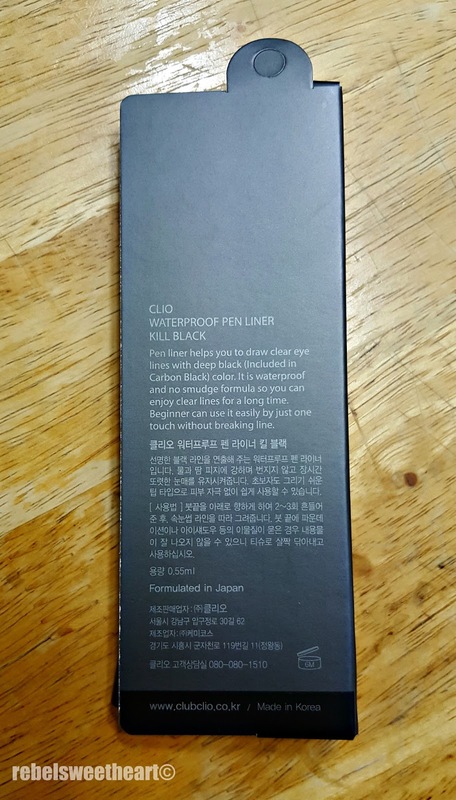 Clio Pen Liner in 01 Black. 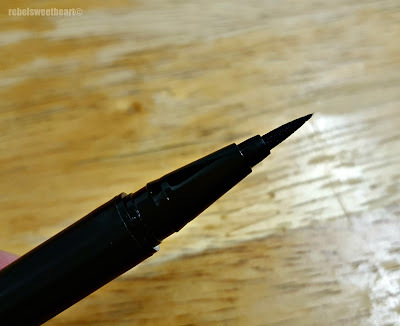 Oh, and its felt-type pen tip is quite easy to maneuver that even eyeliner newbies would be able to create the perfect cat eye in no time. The tip isn't as fine as K-Palette's Micro Eyeliner, so it's not really meant to create super skinny and super fine lines. 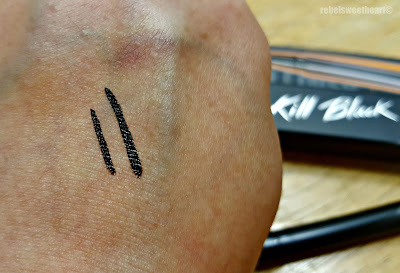 But if you're into slightly thicker and bolder lines, then you will enjoy using this eyeliner as much as I do. Its wear time is pretty impressive, too. The first time I used this eyeliner was about two weeks ago, on the day we flew back to Korea. We left home around 2 am, landed in Korea at 12 noon, made our way out of the airport at around 2pm (the immigration lines at Incheon Airport are crazy long, I tell you), finally arrived home at half past three in the afternoon and voila! My eyeliner was still there, winging it! And since this product holds true to its claim of being waterproof, you'll need to use a makeup remover to take all that black off from your lids. Soap/facial foam and water alone wouldn't suffice. As for the price, it wouldn't burn a hole in your pocket. At least not much. I bought mine for 15000 Korean won, which is still a bit cheaper compared to K Palette's. CHEEKS: Tony Moly Cristal Blsuher in Pleasure Peach. 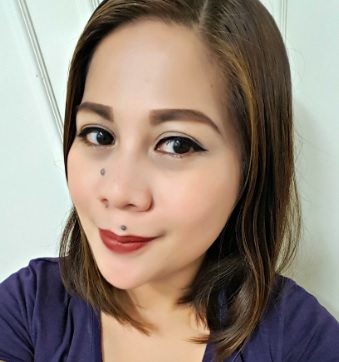 LIPS: Maybelline Creamy Matte Lipstick in Divine Wine. How was it when it was time to remove. I love a waterproof pen liner but I have not found one that removes without much scrubbing. 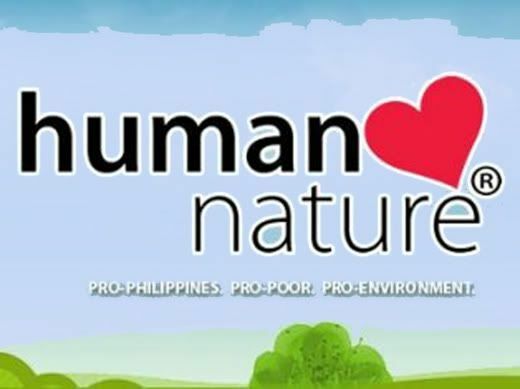 I love hat you test teh products out and share your views, reactions and results. Your skin tone is great. I love sch pencils, I got me a couple! That's awesome! 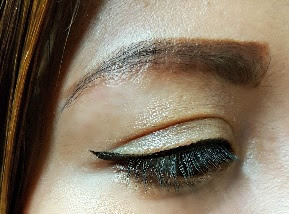 I love eyeliners that can last, especially when I'm out all day and I don't have time to check on my face. This is definitely a must have for me! That looks like it works compared to the usual, especially when you mentioned that it draws black once and you never have to repeat it. It's a good suggestion for a gift! Wow, looks like an awesome pen liners I would love to try these product. Looks great on you! I haven't seen this brand yet, but I would totally try it! Wow. I do like that eyeliner. The fine tip looks like it would be great and my daughter would love it. I love trying out new stuff. This eyeliner sounds really nice. I want to try it.